BitGuild’s mission is to revolutionize the global gaming industry by creating a platform for a brand new class of games that live on the blockchain. Blockchain games completely redefine the relationship between players and developers by facilitating full and true ownership of in-game assets, cheap & safe item trading, cross-game compatibility of items & currency, and more. 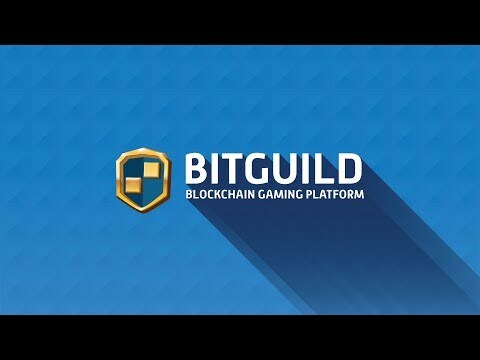 Bitguild’s team consists of cryptocurrency and gaming veterans with decades of experience building international large-scale gaming platforms and communities. BitGuild aims to host the best blockchain games and the largest blockchain gamer community online. Online games always had their own currency is one of the most popular markets for crypto-currency products, so the competition on it is very strong. The team has a brilliant experience in games, but its experience in blockchain is much lower. Therefore, it is unclear how much the team will be able to compete with existing teams that have a lot of experience both in the blockchain and in online games. Team is a bit small. Brock Pierce onboard is a coup. Gaming is a hot space right now for Blockchain. Good stuff!